This color is…interesting! Not quite a brown, not quite a light burnt orange, with faint gold shimmer. 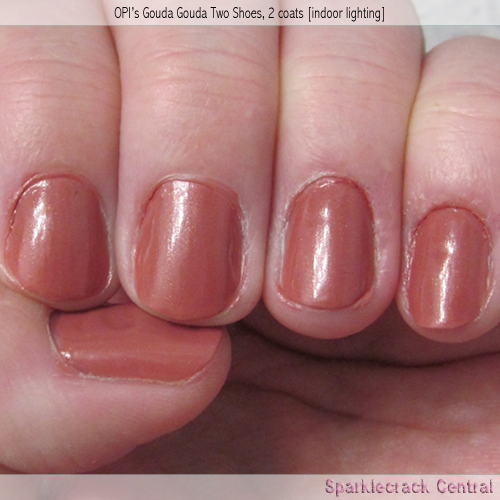 It's a little bit like Zoya's Jennifer, in that it's a warmer brown that actually looks good on me. It doesn't have enough overt yellow tones to make my hands look reddened. 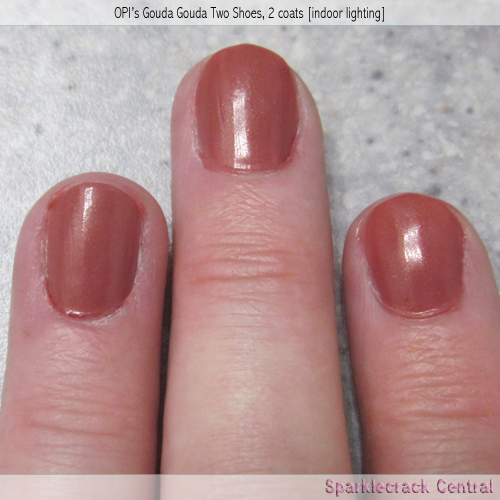 Coverage is excellent, though I did see more shimmer with two coats than with one. (The shimmer is nice and subtle - it adds a glow to the color.) 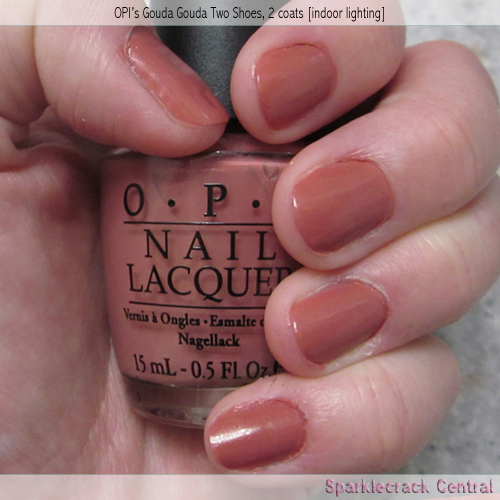 I wore this manicure for five days, with no topcoat, and got no chipping or peeling.